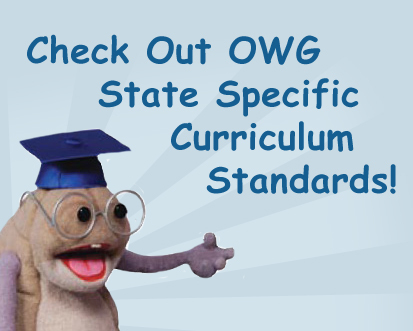 Below you will find: information and evaluation on the program, pre/post knowledge assessment tools, a teacher survey, live assembly training videos, companion activity sheets for DVDs, lesson plans, state-specific core curriculum standards, grant templates and more! 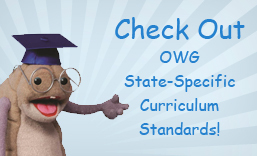 - Smart from the Inside Out ASSEMBLY Grades K-2 (for training) LIVE! 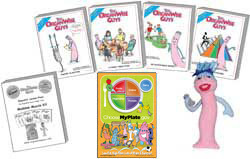 - Basic Training for Better Health ASSEMBLY Grades 3-5 (for training) LIVE! Print these sheets, then track the use of your OWG materials in the classroom with these grade-specific guides. Utilize Pre/Post tools to measure the improvement in students' knowledge gain before and after program implementation as well as post intent to change behavior. Collect student responses through the survey PDFs, then enter your data in the excel files. Teacher implementation survey - This form helps document changes in students' food and other healthy behavior choices. These are used for the media specialist to make cataloguing The OrganWise Guys materials simple. Click Here to download a zip file of all of the MARC records. 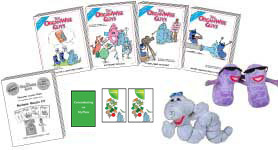 If you are interested in bringing all or part of The OrganWise Guys program to your school, afterschool or summer programming, this section provides the information needed to attempt to secure funding. From a Project Narrative to an Operational Plan to a Proposed Budget Guideline, this template provides the basic information a funder will require. To further strengthen a funding proposal, include the documents found under "Awards and Articles" in your submission information. This downloadable pdf contains the actual legislation language showing the responsibility of schools to implement/document a wellness policy. 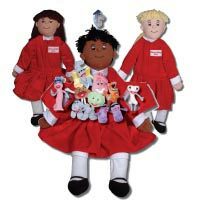 Click Here to see a sample template press release written about The OrganWise Guys school program. If you are interested in writing a press release and sharing your school's story about the OrganWise Guys program, we can provide the details.